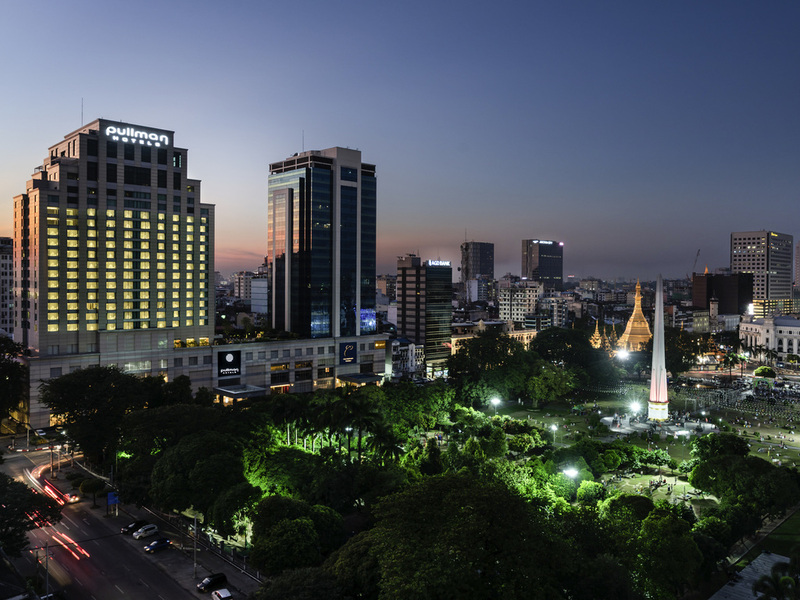 Pullman Yangon Centrepoint is located in the beautiful downtown Colonial Quarter overlooking Maha Bandoola Park, City Hall and the unique Sule Pagoda, while Bogyoke and the night market are at walking distance. All rooms have a separate shower and bathtub, a work desk, IPTV and free WIFI. The hotel features The Merchant All Day Dining Restaurant, The Junction At Pullman, Gustave Lobby bar,(limited) fitness facilities, a Ballroom that can host up to 600 guests and 5 meeting rooms. Yangon is the largest city in Myanmar. The city features British colonial architecture, modern buildings and Buddhist pagodas. Dear Visitor, please accept our apologies. During the rebranding to Pullman, the Spa will be under renovation. All 289 rooms include the Pullman signature bedding, shower, bathtub, work desk, IPTV, free WIFI and panoramic views of the downtown colonial quarter. Our authentic Trattoria on level 2 is a casual chic place for delicious social gatherings with 3 private dining rooms. Come also enjoy a true Italian Salumeria with great wines, cheeses, oils, Vinegars, pastas, all come from traditional popular recipes. The Merchant has an open kitchen concept where our chefs use the freshest products to showcase international and local dishes. From breakfast, lunch, dinner and brunch on weekends, to a la carte menus, there is something for everyone. The place to comfortably relax and chill out with friends, follow the latest news or watch a sports game while experiencing bespoke signature cocktails, artisan champagne, world class wines, fresh craft beer and canapés. Open all day till late. AT THE DECK is located at one of Yangon's most relaxing outdoor pools and connected to our Wellness centre. Our menu offers feast of light snacks and drinks. We also feature a kid's pool and 5 private gazebos for massage, parties or events.